1. MOOSE: Concrete or Abstract? 2. SUCCESS: Concrete or Abstract? 3. FORK: Concrete or Abstract? 4. LISTENING: Concrete or Abstract? Today’s post is all about number four: Listening. Despite being one of the most common words I hear in K-8 classrooms (and I have no doubt it’s a high frequency word in high school as well), LISTENING is an abstract concept. My image of listening may be very different than your image of listening. 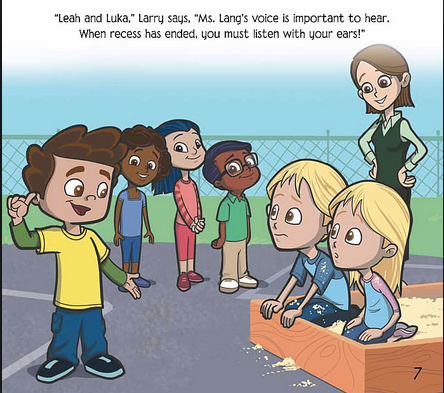 Listening on the playground may look different than listening during a math lesson. Some teachers want students to listen with their ears alone, while others expect students to freeze whatever they might be doing in order to listen. 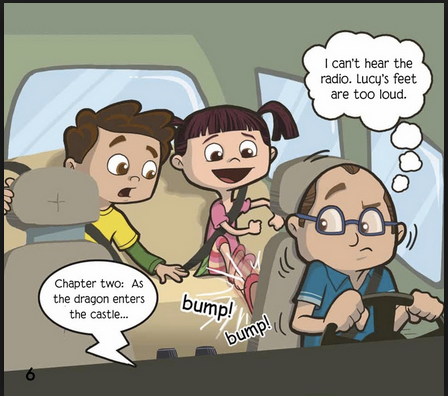 Neurotypical students struggle to form consistent rules for listening, so imagine how challenging this is for children with language processing challenges, lack contextual awareness, challenges recognizing social cues, and overly rigid interpretations of social situations. 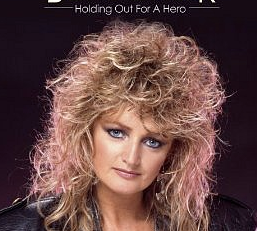 We need a hero!!!!! Reinforcing WBL requires a shift from “Listen to me,” “I need everyone listening,” and “I’ll wait until the whole class is listening” to “I’m waiting for quiet mouths and eyes looking at me,” “Let’s be whole body listeners; brains, ears, eyes, and hearts on and mouths, hands, and feet quiet,” and “I will know you’re listening with your whole body when your hands and feet are quiet.” Taking the guesswork out of listening allows children to more quickly and easily understand the whole-body expectations of being a strong listener, allowing them to engage more successfully in classroom tasks. 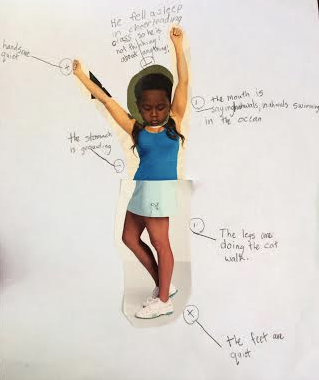 3rd through 5th Grade: Create crazy character collages and ask students to label whether the parts of WBL are being done in an expected way or an unexpected way. 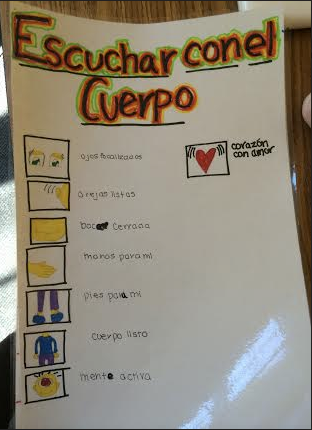 6th through 8th Grade: Collaborate with students to translate the traditional WBL Larry poster (most appropriate for younger students) into a foreign language being taught across the school. Additionally, older students can be encouraged to reinforce WBL for younger students during assemblies, transitions, buddy activities, etc. Whole School: Encourage “contagious quiet” across all grades in a school. 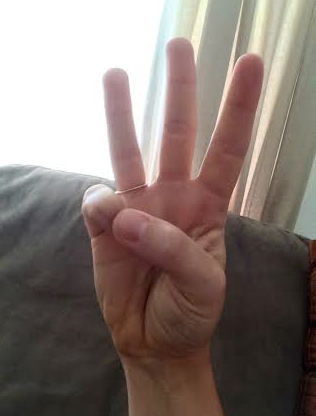 Create a hand sign that represents WBL (like a ‘W’ with your fingers) and challenge students to see how quickly they can all “catch the quiet” when they see the hand sign. 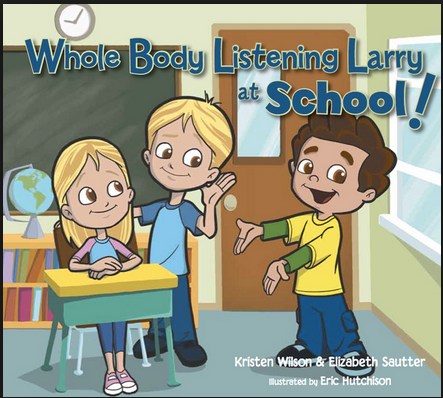 A happy child is a child who feels successful, and WBL is a fantastic strategy to allow all students to feel like successful listeners! This one goes out to all the teachers who are looking for ways to support Executive Functioning without giving up your carefully planned lesson times. I work with a lot of K-8 teachers who are always on the lookout for quick and easy ways to target foundational EF skills within their existing classroom routines. The thing is, EF isn’t something you do separate from your regular curriculum. The more you know about EF, the better you get at realizing that so much of what teachers are already doing is supporting and improving students’ skills. It’s like a hidden super power! The goal of this post is to help teachers become more intentional about using their otherwise lost minutes of transition time to keep that EF momentum going! Let’s say you have two minutes between the end of your math lesson and the lunch bell. What do you do? (a) Your announcement = 20 seconds, getting out books = 40 seconds, opening to the right page = 15 seconds, reading one paragraph = 25 seconds …then…time to clean up (followed by copious amounts of “grumble grumble grumble”). Effective? I think not! (b) Students are annoyed with having to be quiet, you’re annoyed they can’t be quiet…who wins at the quiet game? No one! (c) Students have fun and improve their EF skills! (d) Total destruction of the classroom (and your sanity). In case you’re still scratching your head, I’ll give you a hint: the answer is C. There are countless EF teachable moments (and I do mean moments) during a typical school day: lessons end a little early, students need something to keep them busy in line, you name it! Here are some ideas to turn those lost minutes into EF learning treasure troves, while simultaneously supporting general education skills. Word Association: Begin by saying a random word. Snake through all students in the class, having each student say the first thing that comes to their mind when they hear the word from the student just before them. This fun game strengthens association pathways in the brain and supports cognitive flexibility during conversations (i.e., the ability to connect to others’ ideas). Two-Word Association: Create a jar of random words. During the tuck-in, select two words from the jar and ask a student to come up with some way those words can be related. This task encourages strong concept association and mental flexibility. Ask students to generate antonyms, synonyms, or a shade of meaning (i.e., a word that means slightly more or less intense than the provided word) for a target word. For example, if the word is happy, the antonym could be sad, the synonym could be glad, and the shade of meaning could be content (less intense) or excited (more intense). Ask students to repeat back increasingly longer sequences of numbers in the opposite order of how you give them (e.g., if you say “3-5-7-2,” students say “2-7-5-3”). Give students a target word and ask whether various letters are in the word. This requires students to hold the word in their mind while scanning it for letters. Ask students to verbally spell a target word forwards, then backwards. Switch between common, overlearned words and grade-level vocabulary or spelling words. Provide three attributes of a secret object and ask students to make a smart guess about the object you’re describing (e.g., it’s white, it comes from a cow, you drink it). The more nuanced the clues, the more challenging the task. Provide students with an obscure word that has a commonly known root (or a word in a different language). Ask them to make a smart guess about the meaning of the word based on a recognizable root. Provide age-appropriate What Would You Do scenarios to students (e.g., “What would you do if your friend got an ugly hair cut and asked what you thought?” or “What would you do if you were invited to a party and didn’t want to attend?”), and ask them to generate the most expected response they can think of. Ask students to judge the grammaticality of a sentence. If it’s incorrect, ask them to correct it. Present If…Then verbal problems for students to solve (e.g., If Jenny is shorter than Billy, Billy is shorter than Mark, William is taller than Tony, and Mark is the same height as Tony, who is the tallest?”). Provide four+ words or numbers to all students. Ask the students to determine how they can be sorted into two+ categories based on attributes, functions, locations, materials, appearance, etc. You can use random words/numbers or ones that relate to a current lesson. Provide four words that all connect through a shared attribute except for one. Ask students to identify which one word does not belong and why. The more nuanced the isolating difference, the more challenging this task will be. Provide a category to students (e.g., animals, literary genres, Greek Gods, vehicle types, colors, etc.) and ask them to generate as many items as they can that belong in that category in a given amount of time. Show a picture scene to the whole class. Ask each student to write or say the gestalt (i.e., big idea) of the picture scene and the three most relevant details that support the gestalt. 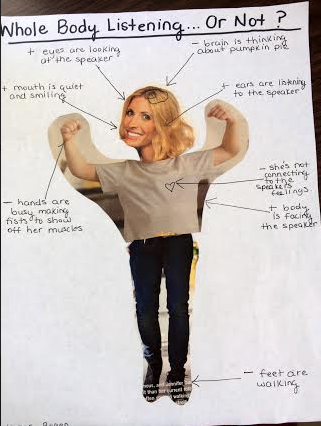 This helps students improve part vs. whole awareness and how parts are relevant to the whole. Ask students to tell as many parts of an object as they can think of (e.g., parts of a tree: roots, trunk, branches, leaves, etc.). Encourage students to use a strategy to determine parts (e.g., move from the bottom to the top of the object, move from small to large parts, etc.). Here’s to a whole new, EF-filled school year! Remember when you had to memorize all the presidents of the United States for U.S. History Class…in order?!? It took me about 2 minutes of blankly staring at flash cards to realize I was never going to cement those names through repetition alone. So where does one turn for help at 10:00pm the night before the test? Music, of course! The Animaniacs saved my tush that night with their president song (proof here: https://www.youtube.com/watch?v=Vvy0wRLD5s8). Kids are a lot like me when it comes to learning (or should I say I learn a lot like a little kid…): they do better with multimodal, experiential, and “stuck-in-your-head” leaning styles than mere lecture from adults. Raise your hand if you find it easier to engage kids in post-play cleaning when you sing the “Clean up, clean up, everybody, everywhere…” song (did you really raise your hand? No one can see you, silly!). That’s because the song jumpstarted a memory for the child (hippocampus activation) that it’s time to clean. We use songs in all corners of education: ABC’s, rainbow colors, counting, wh-questions, etc. I think I can skip the part where I spend a whole paragraph convincing you why songs matter for learning, because our scientific community has already agreed that music activates important association and learning centers in the brain. Instead, I want to introduce you to my favorite new set of songs for facilitating social regulation, social cognitive, and social emotional development: The Friend Ship. 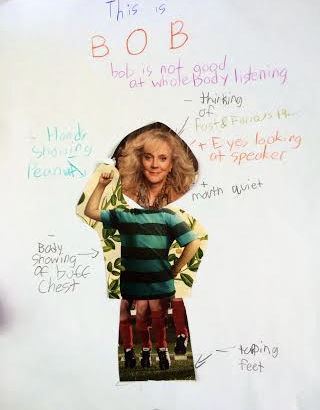 You may or may not know that I spend my days targeting social regulation skills with “boys and girls of all ages” (yeah, it’s a bit like the circus!). I am forever on the hunt for innovative ways to help my clients both learn and generalize the key concepts of expected social communication, and music is a personal favorite strategy of mine. 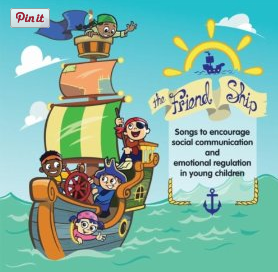 The Friend Ship, created by speech-language pathologist Erica Bland, is a CD of songs all about social regulation. With titles like: “What’s the Plan,” “Adding to the Fun,” and “What Zone Are You In,” the songs take teaching and reinforcement phrases I find myself using like a broken record and puts them to a soundtrack of kid-friendly rock, reggae, and hip hop. Whether the songs are used as direct teaching tools or are just on as background music during collaborative play, I find that my clients are humming and singing along after the first couple replays. Erica also created a companion packet of family or therapist-led support activities to go along with each song. In other words, your lesson plan is already done! So drop whatever you’re doing, pump up the Friend Ship jams, and get your social regulation on! It’s been a long time since I last posted. As in, really long. 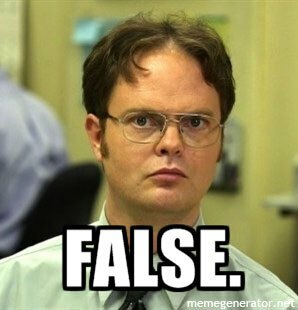 You could have watched every episode of Bones, Friday Night Lights, and, probably, Dr.Who on Netflix since I last posted. You’re welcome (and also, my apologies). My main rationale for my MIA status is a little thing called my clinical fellowship. The real world is crazy and busy and hard, but oh so rewarding! Even on my worst days, I love what I do (and that’s a hard position to beat)! The good news is that my CF is officially over! I’m a real, live SLP now. The bad news is that my caseload and workload didn’t suddenly dip, so I get to stay as busy as before. That being said, I wake up each morning with the privilege of knowing that something I do that day might actually help someone. So cool. This post is all about apologies, which is timely for a few reasons. For one, I owe my readers an apology for my absence. 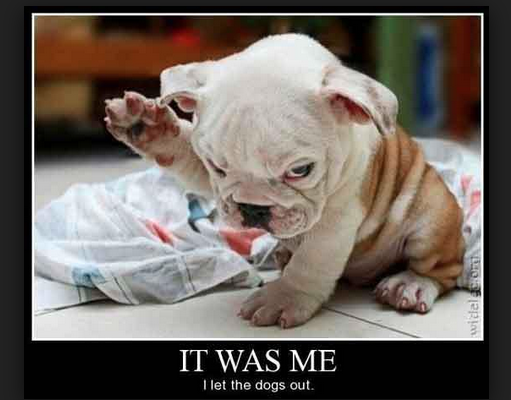 Explanations for our unexpected behaviors are nice, but they don’t necessary fix the situation. Just because I gave you my (really good) reason for not writing, it doesn’t mean you didn’t lament my absence (at least, that’s what I tell myself). Secondly, my consulting role in a K-8 school this year has given me a lot to think about when it comes to apologies. Kids (AND adults) do unexpected things all the time. We may say and do things that we immediately regret, but can’t take back. In those moments, all we have to fall back on is the skill of a genuine apology that reveals not just an acknowledgement of our behaviors, but also an action plan for the future. Third, Jonah Hill gave an amazing apology on Jimmy Fallon’s show this week in response to a not-so-nice thing he said to a not-so-nice paparazzi dude. I bet that if you counted up all the apologies you’ve given in your lifetime, they would outweigh a lot of things you wish you did more often (like eating watermelon, laying on a sunny beach, or playing with puppies). Despite how that may manifest for you, I don’t say this because I think we are inherently bad people who are inclined to do unkind things all the time. I say this simply to point out how often we engage in apologies. Yet considering the number of times we do this action, we don’t spend much time actually teaching our children how to apologize. 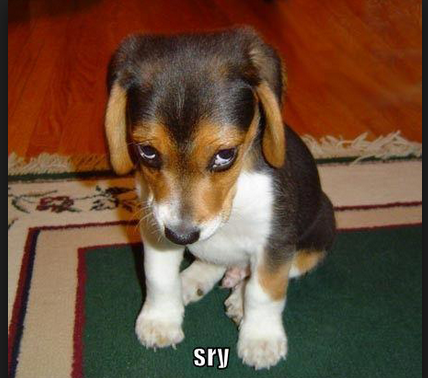 As a result, we’ve ended up with the drive-by apology; the “sorry I’m not sorry” apology. This step involves hindsight. Hindsight is the ability to recognize past situations (what you did and how someone felt as a result). Children may need support and mediation to reach this level of awareness, but it’s a critical step before starting an apology. I recommend using a social behavior map to help children understand the relationship between their actions and the feelings of others. This step involves foresight. Foresight is the ability to anticipate how the future might be same/different when compared to the past, or how new situations might be same/different when compared to past experiences. Anticipation of future consequences allows us to manage our present decisions so they align us with our ultimate goals. You can think of this step in the apology as the mental re-do; a chance to script a more expected behavior for next time. So what does this look like all put together? Here’s an example from my own heart: “I’m sorry for being away from my blog for so long, which may have caused you to feel confused or disappointed. Next time I anticipate taking a break, I will share those plans with my readers so you know what to expect.” How do you feel? Validated? Appreciated? Perhaps a bit more understood and acknowledged? That’s my hope. I said it before and I’ll say it again, apologies are hard. They’re uncomfortable, embarrassing, and humbling. AND they’re a critical social repair skill we need to master in order to make it through this tricky world. Just as it benefits children to receive explicit instruction in emotional and behavioral regulation, all children benefit from scripting and support for effective apologies. If you work with older students, I recommend showing the Jonah Hill apology clip, and creating some space to discuss students’ reactions and thoughts. Until the next post, I wish you all a happy Thursday! Stop Using L1?!? Ain’t No One Got Time for That! Blog post explosion! I went from 2 months of no posts to 2 posts in 1 day! You’re welcome. I would normally wait a day or so to add a second post, but this feels too important to wait. In the past 2 weeks, I’ve had 3 different experiences of hearing from bilingual or multilingual parents that their child’s teacher, doctor, or (gasp!) 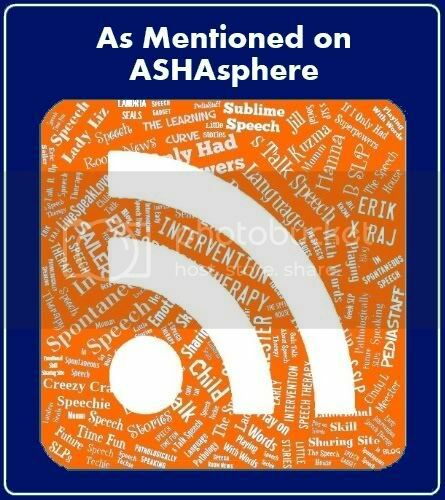 speech-language pathologist has recommended limiting or eliminating all language input other than English in order to decrease the negative impact of a communication disorder. SAY WHAT Y’ALL?!?!?!? The belief that having input from multiple languages either causes language disorders or makes them worse is FALSE! If you are still mistaking these myths as facts, you better check yo’self and EBP (evidence-based practice) it up! Sit back, kick up your feet, sip a cup of tea, and read some research articles! Here’s to supporting a better educational environment for our amazing, fabulous, and uniquely special linguistically diverse kiddos! Create a script for one or both characters. What kinds of expressions are they likely to be using? Are these characters friends? Siblings? Strangers? How do you know? Fill in thought bubbles for each umbrella and notice and discuss the changes in what each umbrella is thinking as the short video goes on. Why do these changes in thoughts/emotions/behaviors occur? Media can be such a great way to engage students of all ages in working on therapy objectives. Any other animated shorts out there that folks are using? Do you know about the Communication Matrix? If not, then this is your extra lucky day! I, along with my fellow UW grad clinicians, use this measure during lots and lots of evaluations, especially when the client is at a developmental stage where they are not using a huge number of conventionally communicative behaviors. I’ll give a short and sweet overview of the Communication Matrix, but the best way to learn more about it is to go to the website and check it out yourself! What is the Communication Matrix? The Communication Matrix is a structured assessment measure designed to determine how an individual is communicating, and to provide a framework for determining logical communication goals. It was first published in 1990 and was revised in 1996 and 2004 by Dr. Charity Rowland of Oregon Health & Science University (yeah, Oregon!). Based on responses from the child’s caregiver, a matrix profile is generated that describes the types of behaviors the child is currently using (e.g., Unconventional Communication, Conventional Communication, Concrete Symbols, etc.) and the purposes for which those behaviors are being used (e.g., to refuse, to obtain something, for social purposes, and to gain information). The measure can be completed online by making a profile for the client, or in a printed, paper-based format. I’ve only ever done the online version and since we live in 2013, I recommend you give that format a try too! See that picture below? THAT’s what your results look like once you get through all the sections and questions (it’s called a “matrix” for a reason). How is the Communication Matrix Administered? This measure is based on information provided by the child’s primary caregiver. In my experience, it works best to have a clinician actually sitting with the caregiver and walking them through each of the questions and sections to ensure they understand what’s being asked and to take any informative notes that might come up (there’s a place for notes in each section so you can keep track of this information in an organized way). I realize that you won’t always have a clinician to spare during assessments, so the parents could certainly be set up to fill this out while you’re working your magic in the eval! What Do the Matrix Results Tell Me? Remember that picture a little ways up in the post? You can probably still see it from where you’re currently reading! If not, it’s time for some scrolling action! Along the vertical axis (going from top to bottom, along the left) are the types of behaviors a child is currently using to communicate. 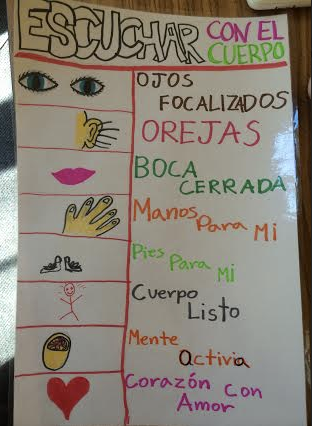 These are ordered (from top to bottom) based on when they appear in typically developing children (i.e., Preintentional Behavior all the way down to Language). If you hold your cursor over each stage, a pop-up with a more detailed description of that stage will appear (on the actual website…not on my blog post). Along the horizontal axis (going from left to right, along the bottom) are communicative functions/purposes for which communication is used. The overall matrix gives you a visual sense of the client’s skill level with different communicative behaviors for various communicative functions (not yet used, emerging, or mastered). In other words, how are they using communication and for what purposes? How Can the Communication Matrix Compliment My Other Assessment Tools? Good Question! This tool is a fantastic way to support findings from other measures. If you plan to use the Rosetti, MacArthur Bates CDI, or other caregiver questionnaire as part of your assessment, it’s always a good idea to have a second caregiver measure to ensure reliability in their responses. The matrix gives both a qualitative description of the child’s current communicative functioning as well as a quantitative description of which developmental age range their communicative abilities fall into. And that’s pretty darn cool! Go to the website and create an account. It’s free! You can add individualized profiles for clients and save their results for later reference! All in all, it’s an amazing resource! Since I’m so confident that you’ll find this tool helpful…YOU’RE WELCOME! 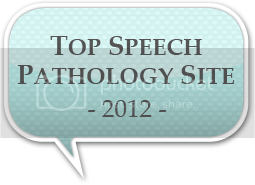 Hanna Bogen, M.S., CCC-SLP is a Speech-Language Pathologist and Social-Cognitive Specialist based in Los Angeles, CA. Hanna spent three years as a therapist with Communication Works in Oakland, CA, gaining expertise in social-regulation. With a primary focus on therapies and interventions that support self-regulation and social communication, Hanna consults and collaborates in multiple schools to bring social-regulation, executive functioning, mindfulness, and social-cognitive strategies into the classrooms. She has trained K-12 teachers and educational specialists in California, Washington, and Oregon to support them in meeting the needs of all learners in their classrooms. In addition to her school consultation, Hanna provides individual and group therapy in the areas of articulation, language development, self-regulation, executive functioning, and social communication. Hanna is the co-creator of the Brain Talk curriculum (www.braintalktherapy.com), which teaches students about brain functioning to improve metacognition and self-regulation skills. Brain Talk Curriculum is Officially HERE!